Hello! My name is Nety. I came here on August 22. Let me tell the reasons why I chose Baguio for studying. I am sensitive of the weather when it comes to studying. So apart from the learning environment and security, the main factor that affected my decision was the weather. I chose Baguio immediately because I heard the weather in Baguio is cool unlike other places in the Philippines. It took me a long time to choose my language school. I didn’t know anyone who visited the Philippines for studying and there was no one I can ask about it. I chose Monol because I like their curriculum and atmosphere. When I arrived at the airport, Monol staffs pick me up along with other students. We went to Baguio together with the school bus. It is very cold inside the bus. I recommend for you to prepare a blanket or hooded shirts. I recommend a neck pillow as well. It was very hard for me to sleep during the trip to Baguio because I did not prepare it. Even though I was already tired from my night flight, I had a harder time in the bus that my neck was painful for six hours. I hope you prepare a neck pillow. When you arrive in Monol, your room will be assigned. Then, you will meet your first roommates. Fortunately, my roommate “Yuriko” is Japanese. I could use English a lot! You can put a lock on your closet. It is better for you to prepare two locks. 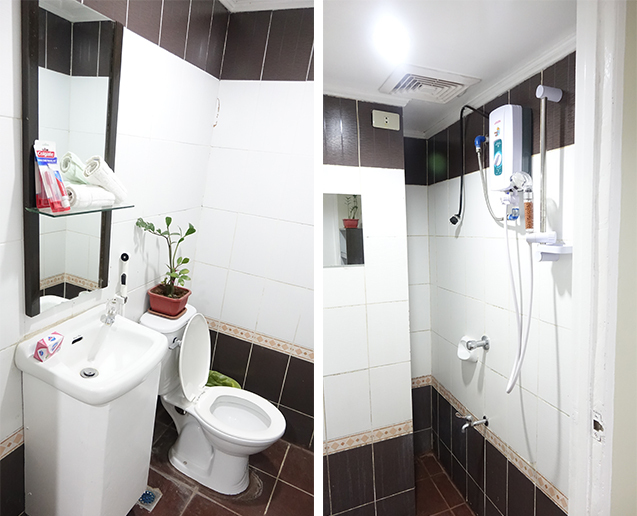 Monol’s toilet and shower room are separated, which is good. You can save time because you don’t need to wait. You should prepare individual toiletries and lotion in advance. In my case, I prepared facial wash and towel, but I bought my shampoo and conditioner in SM. Even SM is selling Kerasis shampoo! This is the dehumidifier placed in the room. 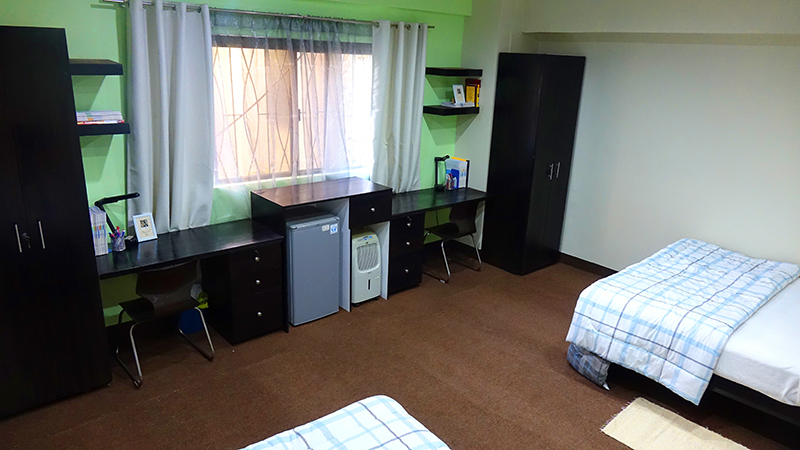 Baguio city is humid so it is better to turn it on whenever someone is inside the room or else your clothes and blanket will get damp and have molds on it. 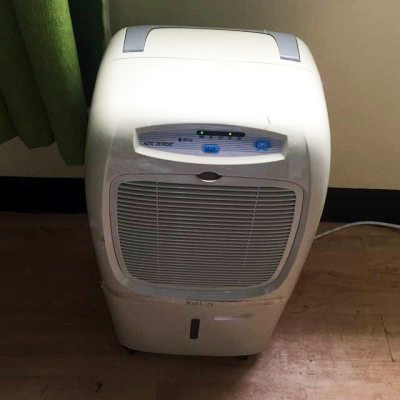 There are some students who never turn on the dehumidifier because they worry about the electricity fee. But then, the total fee for electricity is not too much so it is better to turn it on for a more pleasant atmosphere. Today, I talked about place selection, preparations and Monol’s dormitory. Even though this information would be not enough because I just arrived here, I will try to gather more experiences and fill you in. Until my next post!